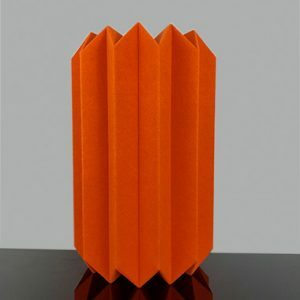 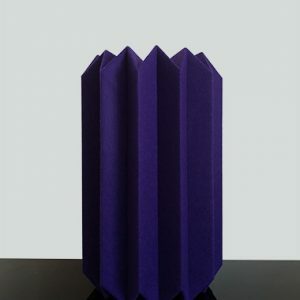 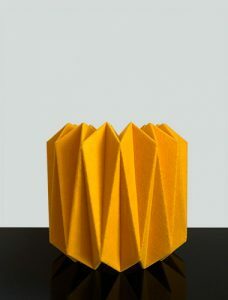 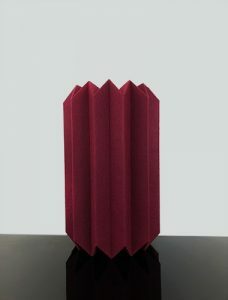 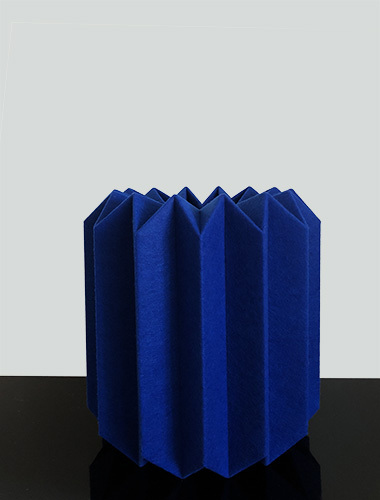 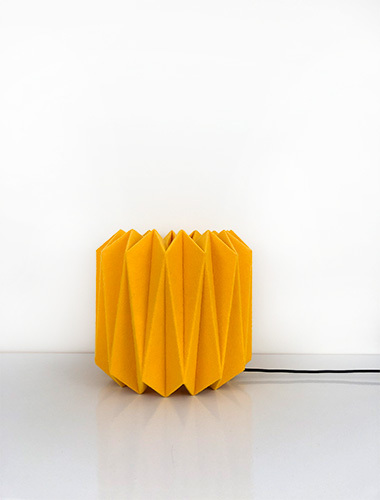 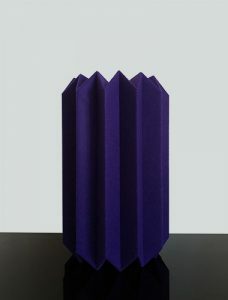 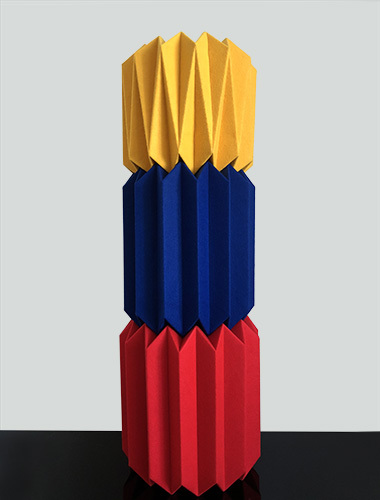 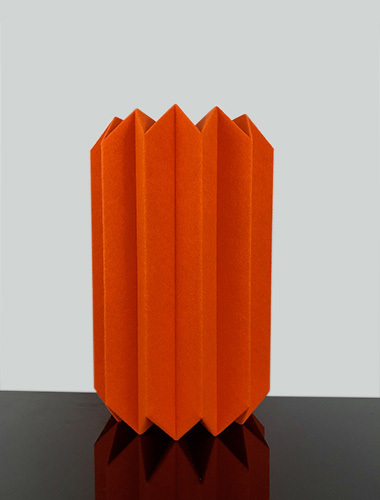 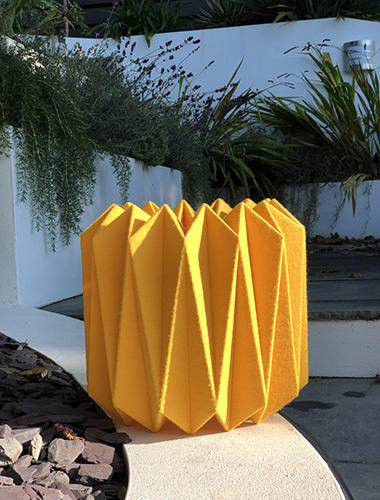 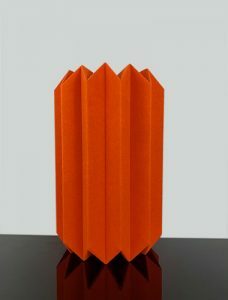 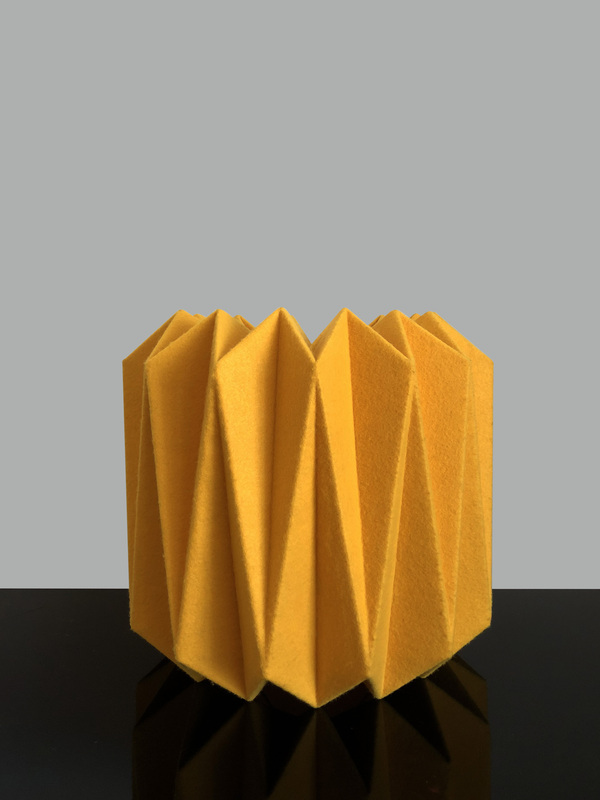 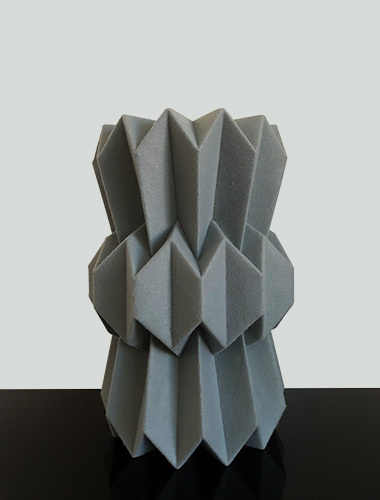 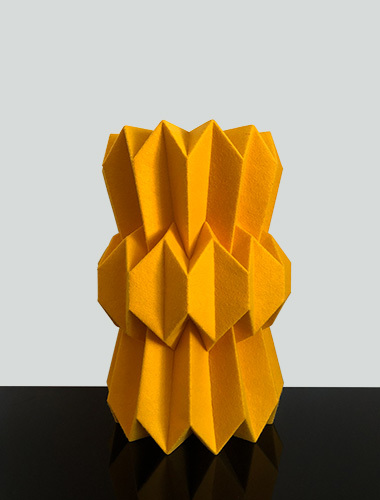 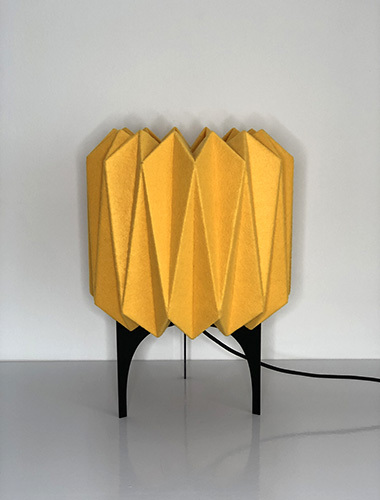 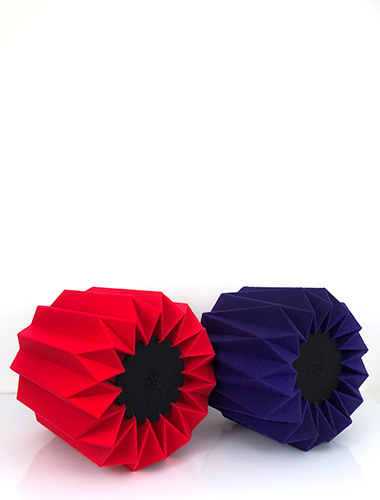 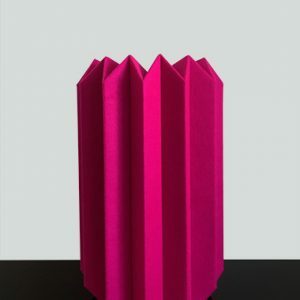 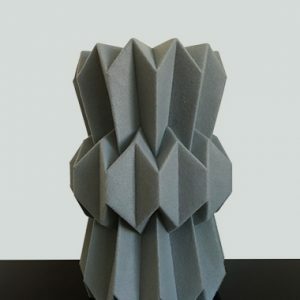 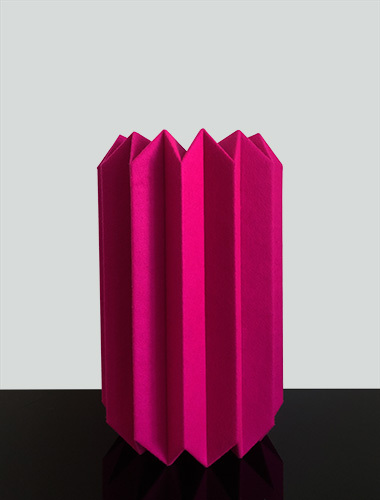 Made of felt, this meticulously hand folded lamp draws inspiration from the ancient art of paper folding with a modern twist. 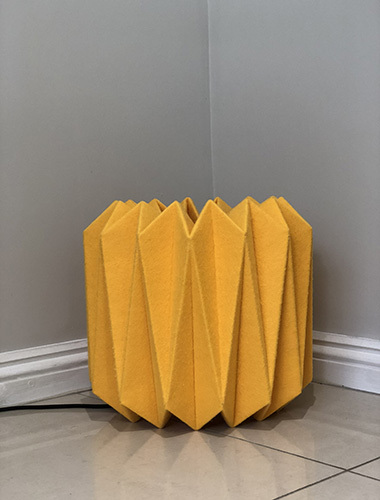 Producing a diffused and soft glow through the irregular texture of the surface, this versatile lamp works beautifully as a pendant, placed on the floor or on a side table with or without the use of the stand. 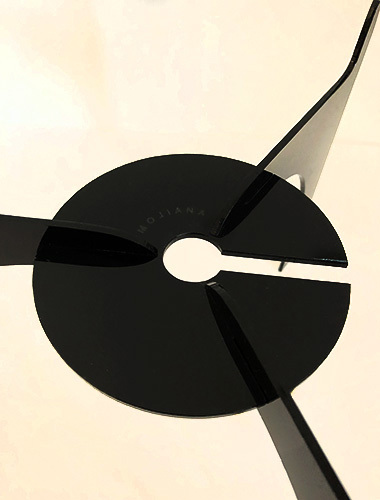 Each lamp can be used singularly or in a duo/trio combination for maximum visual impact in both domestic and commercial spaces. 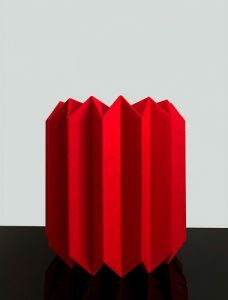 With its subtle and warm pool of light cast in its surrounding, the lamp highlights the material’s texture, depth and richness, balancing an interplay of light and shadow. 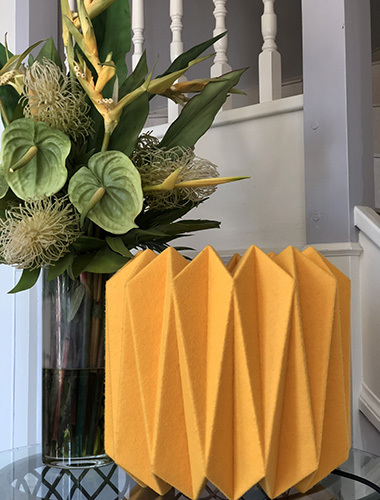 Bringing a touch of warmth and style, this versatile collection is a perfect solution for adding an impactful and non-permanent yet portable pops of colour to any interior space. 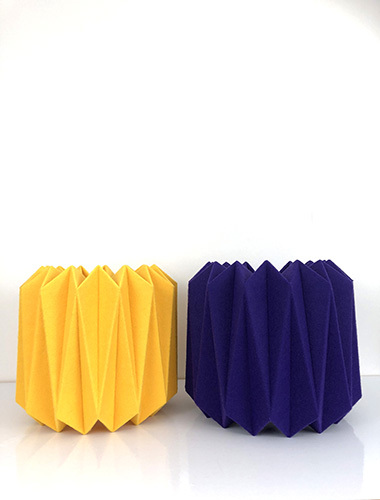 Available in a range of bold colours and styles, the Rang-a’-Rang collection is a celebration of colour and shape. 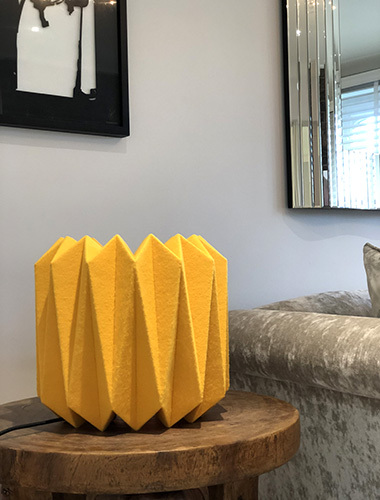 With its sculptural and 3D silhouette oozing style and sophistication, each lamp is truly a unique statement piece adding that extra dimension to your home.